Spanish design house Rosa Clara knocked us out with their delicate yet daring bridal veils and headpieces, not to mention their extensive collections of modern wedding gowns. 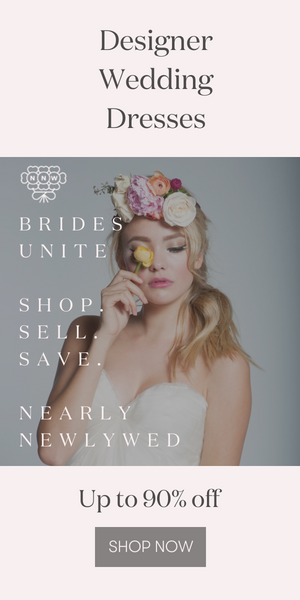 In April the Junebug team produced a bridal lingerie and fine jewelry Fashion Report featuring fashions from Elle MacPherson, Kiki De Montparnasse and Eberjey, accessories from Something Blue Boutique, and jewels from Fox’s Gem Shop. We had a magical day styling and photographing with the help of our talented crew, and this original blog post gives a fun peek behind the scenes! Graphic, bold and ever-so-fabulous, these bib necklaces really caught on in 2009, and we just couldn’t get enough! While in New York last spring, I got to stop by the amazing Mark Ingram Bridal Atelier and meet the man himself. Mark (and his stunning selection of The. Best. Dresses.) swept me off my feet, and it was such a joy to see how he and his talented staff make wedding gown shopping a truly special experience. I can’t wait to go back again! In May we all received an exciting treat when Monique Lhuillier launched her bridesmaids dress collection! Available in her online shop and made to order, these dresses are just what you would expect from Monique- perfection! And of course when we’re talking fashion, we can’t forget the shoes! These daydream-worthy Christian Louboutin wedding shoes from spring captured the imaginations of brides everywhere (and me especially) and starred in many a wedding fashion fantasy. I can’t wait to see what Mr. Louboutin comes up with in 2010! For all the details, photo credits and resources, be sure to visit the original posts. Giveaway! Win Bridal Lingerie from Elle Macpherson Intimates! Yeah, I’ll take one of each!